This week I am delighted to welcome my friend Karen Coles to my blog. Writing as K.E. Coles, Karen is the author of the Mesmeris trilogy, a dark and compelling series for young adult readers, which has also found favour with a wide adult readership. 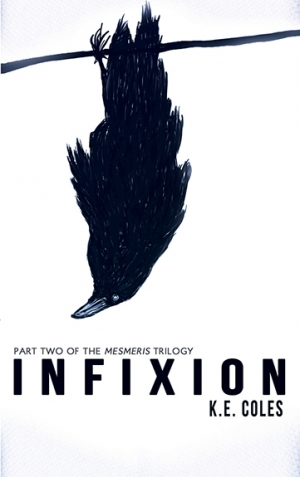 The three titles - Mesmeris, Infixion and Wormwood - have between them garnered an impressive total of thirty-four 5-star and five 4-star reviews on Amazon. 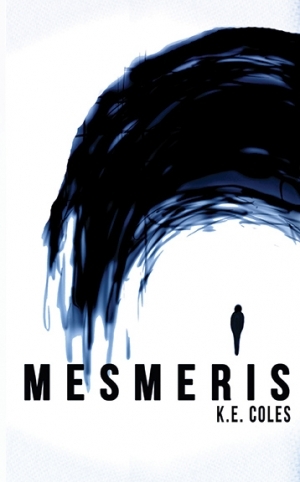 "It’s a bit of a cliché perhaps, but I wrote Mesmeris because it was the story I wanted to read. 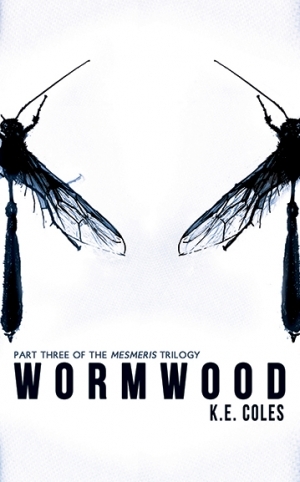 It was meant to be a standalone novel but by the time I’d finished it, the menacing world and all of its varied characters had become so real that I felt compelled to continue their story, first in Infixion and then Wormwood." Karen joins me today to talk about her personal writing rules. She thought she didn't have any, but it turns out she does. Take it away, Karen! Thank you so much, Susanna, for inviting me onto your lovely blog. There’s nothing I like more than waffling on about writing so I’m absolutely thrilled to be here. With each of my stories so far, I’ve planned before I start. I’ve written plot outlines, character profiles, and drawn up scene charts. I’ve stuck post-it notes on the wall, planned my story using all the proper signposts. All to no avail. When it comes to actually writing, all the plans go to pot. For me, the story only ever emerges during the physical act of writing – and, so far, it’s never been the story I set out to write. Getting my facts right. With the Mesmeris trilogy that mainly consisted of researching cult leader profiles and occult rituals, which was incredibly interesting. My current historical novel necessitated a lot more research than my contemporary novels had however. Although the story is essentially about people and the universal themes of love, passion, jealousy etc I still wanted to make sure the details were correct – like modes of transport, for instance. It’s set in south Wales in the late 19th century, so to have my heroine jumping on a bus would not be a good idea. Whether at the first draft, revision or editing stage, my main rule is to always have a pen and paper handy wherever I go - on a journey, in the bath, next to my bed, in the kitchen etc etc. I often go through scenes in my head while doing other things (mostly when cooking, oddly), and have imaginary conversations. I have to write them down immediately as the wording is usually much better and more natural than if I try to recall it later. I write both on the laptop and on paper, but when writing a totally new scene, the ideas seem to flow better on paper. I’m not the greatest typist so often spell things wrongly and have to amend them, which takes me out of the story. Another one of my rules is to never throw anything away, even if it’s so bad it makes my toes curl. It’s amazing how many useful bits and pieces I find when looking back over my notes. I never stop writing a scene I’m enjoying, even if I become aware that it won’t fit in the current work-in-progress. It may be the wrong tone, or not right for the character or whatever. I keep writing because, having finished 3 novels, I know that even though it may not be right for my current story, it may well be perfect for a future one. Every day without writing feels like a wasted day of my life. It makes me very crotchety, so writing at least something on paper before getting out of bed in the morning is my aim. I often fail to do it, which means I’m crotchety a lot of the time. My only other rule is to not let myself spend ages over a scene that patently isn’t working and bores me (where a character has to get from one place or situation to another, for instance). I just type EDIT BORING and move onto to a scene that does excite me. When I go back to the boring scene, it’s often clear how it needs changing. I don’t write in a linear fashion, but cherry-pick any scene that takes my fancy at that moment. It means ending up with a LOT of writing, and loads of different scenes, sometimes several versions of each, but it makes the word count look FAB – at least for a while. I then pick out the sections I love, which is when the word count becomes a little less impressive – it can be only 50% of my first draft. I put the events in chronological order and store all the other scenes in a ‘Bits I may need’ folder. Then starts the real writing, where I go back to the beginning and go through it methodically, fleshing it out – my favourite stage. Thanks for commenting, Jen. I agree with you and Karen about hanging on to everything. It really does pay. This continues to be a fabulous series. Such a delight not only to glimpse how other writers work, but also get to know writers I'm connected with on Twitter. Thanks for sharing your 'rules,' Karen. One of mine is here, too, not throwing anything out. As for writing before getting out of bed, fabulous tip! Thanks for your comments, Louise. It's always good to hear from you. I'm delighted to hear that you enjoyed Minty. I will make sure that Christina Banach is told. Do try the Mesmeris books. I have read the first one and it is gripping stuff. I never tried young adult books because I assumed they would be full of teenage-y things. But after reading the blog about Minty a few weeks ago, I read that and loved it and now I will give Karen's books a try. I was interested in what she said about writing scenes even if she knew they wouldn't fit into the book she was writing, because they might find homes in other books. I'm not sure I would be able to do that. I think I would want to stick with the book I was working on. Thanks for an interesting post.